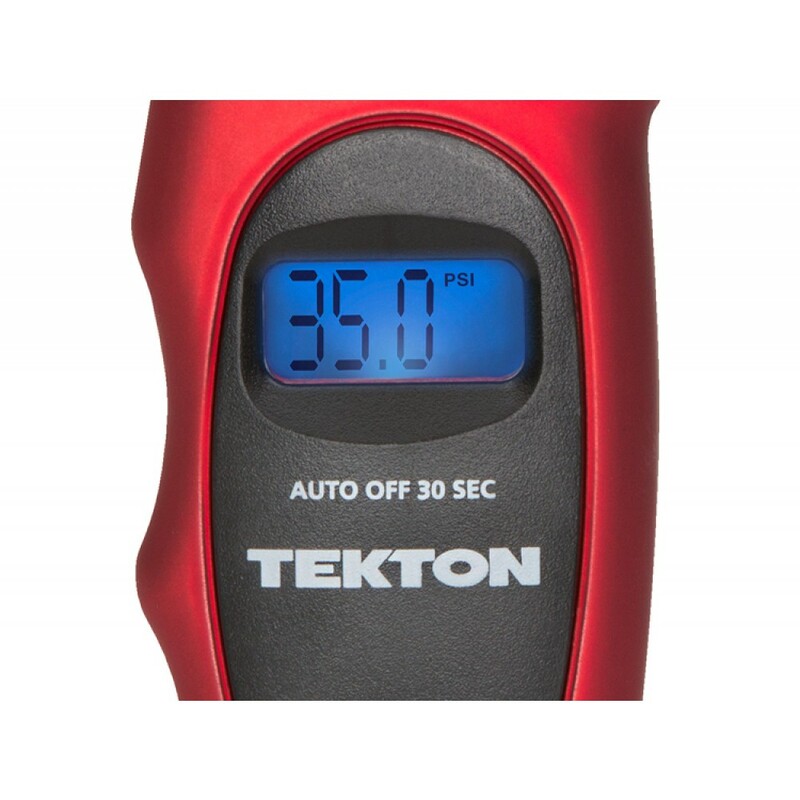 In any light, day or night, the TEKTON 5941 Digital Tire Gauge gives you an instant, accurate and easy-to-read measurement of your vehicle’s tire pressure, helping you travel safely. 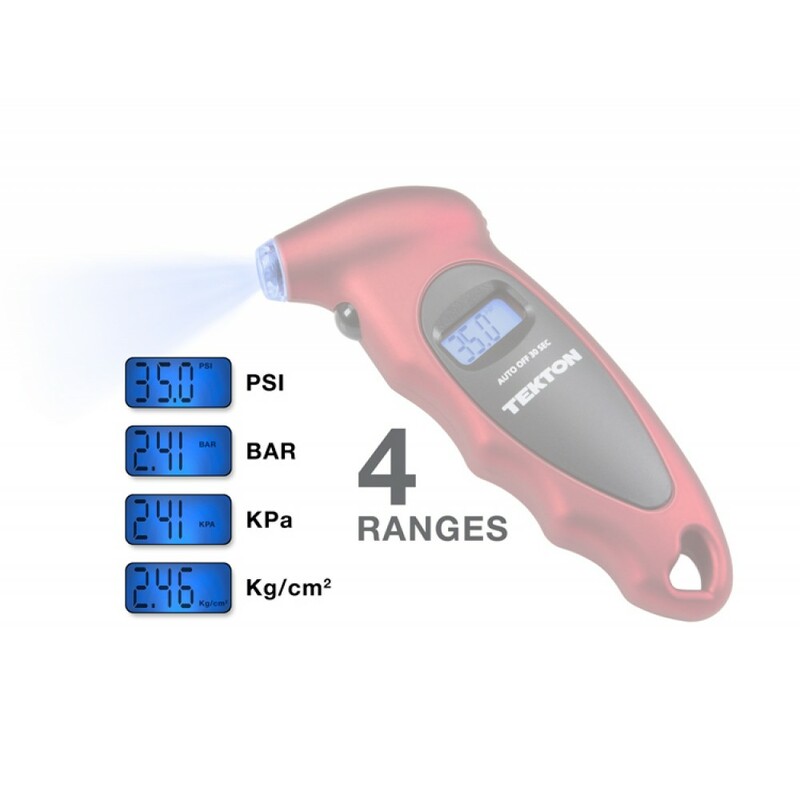 A simple pushbutton turns the unit on and selects one of 4 measurement ranges. 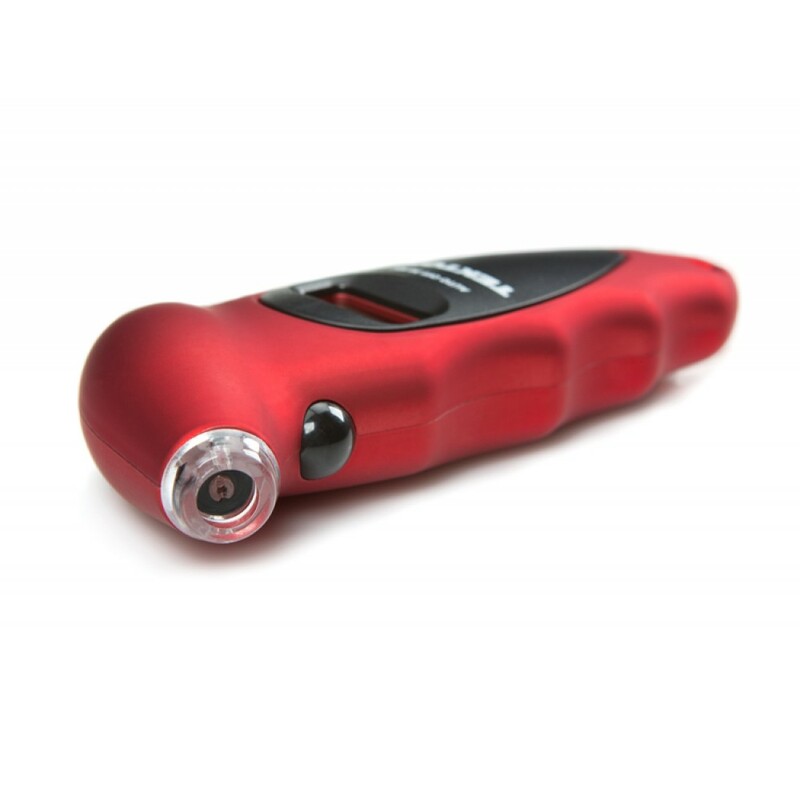 The lighted nozzle illuminates work area in low light, so you can easily locate valve stem. 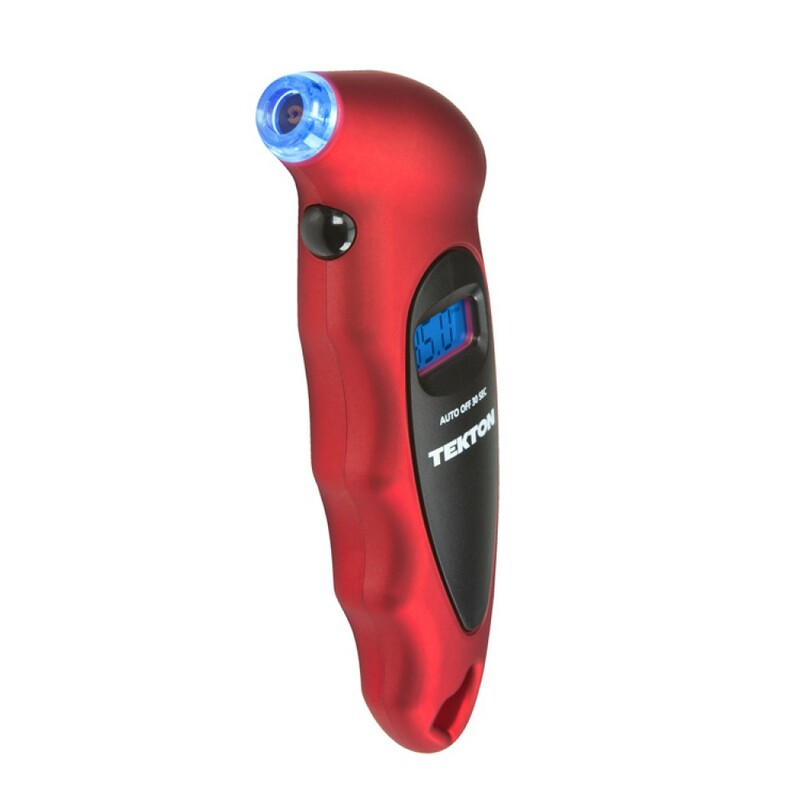 With gentle pressure, the nozzle seals onto valve stem quickly and completely to deliver an accurate measurement. 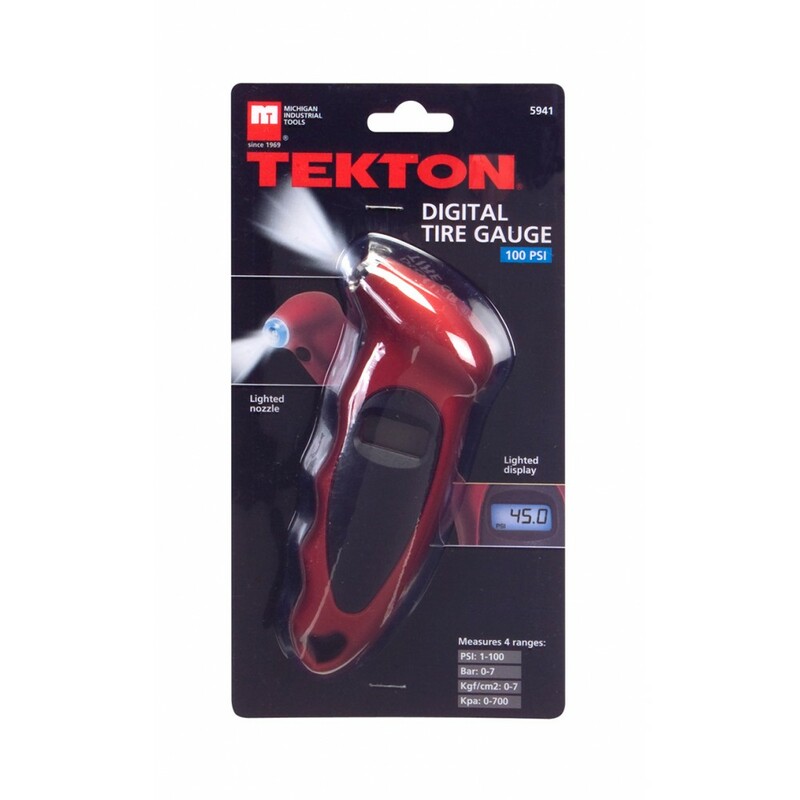 Instantly, the exact measurement is clearly displayed on the lighted digital screen, so there is no guesswork or estimation like reading an analog gauge. After you are done, a 30-second automatic shut off means you never have to worry about accidently running the batteries dead. Contoured to fit your hand, the ergonomic shape is completed by a soft, non-slip texture, for ultimate comfort and control. Check your tire pressure often. Properly inflated tires keep you safe on the road and help you save on gas. 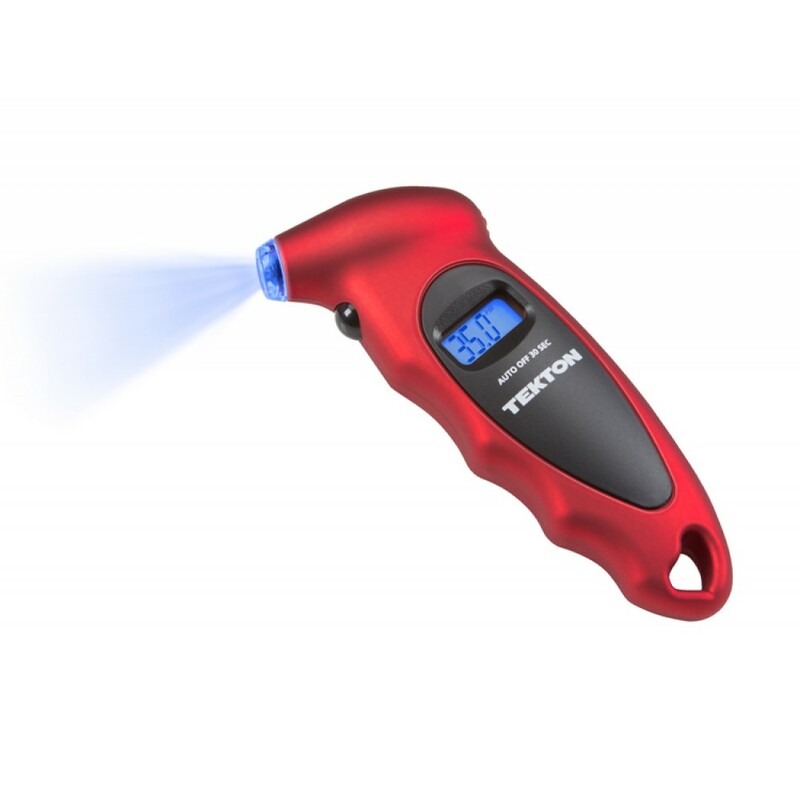 Store this handy tool in your glovebox or console, so it’s always ready when you need it.